This first quote is directed to the prelates of Rome by Christopher Wordsworth back in 1848 which it says "…your Romish doctors strain every nerve to persuade us that Scripture is imperfect…" (Chr. Wordsworth, D.D., in Letters to M. Gordon, p 81, cited in Source Book for Bible Students, p 87-88). And then in 1893 Pope Leo XIII stated that "It is true, no doubt, that copyists have made mistakes in the text of the Bible; this question, when it arises, should be carefully considered on its merits, and the fact not too easily admitted, but only in those passages where the proof is clear." -Pope Leo XIII, in Providentissimus Deus (On the Study of Holy Scripture), Encyclical promulgated on November 18, 1893, #20. http://www.papalencyclicals.net/Leo13/l13provi.htm. Now keep in mind, errors in grammar and punctuation are noted in the KJV Bible, but we all know that such things were added to the KJV quite some time after it was translated. But when it comes to doctrine and biblical jurisprudence, no such errors exist. Only the unbeliever that looks into the Bible with an unbelieving eye will find error or contradiction because he or she has not the ability to recall or even discover wherein the Word is backed up line upon line and precept upon precept. In fact it says in 1 Corinthians 2:14 that "the natural man receiveth not the things of the Spirit of God: for they are foolishness unto him: neither can he know them, because they are spiritually discerned." And so unless the critic finds Christ as Lord who then grants Him the eyes needed to see the truth wherein he thought error existed, such a soul is no capable to see the truth at all. And so, when confronted with such people, pray for them because arguing cannot force them to see what they are literally blind to. But to share one more quote from Rome, and I shared this quote in a Newsletter I did back in September of 1999, It states that "The Vatican criticized a literal interpretation of the Bible and said the fundamentalist approach to scripture was a kind of intellectual suicide. A Vatican document said fundamentalism refuses to admit that the inspired Word of God has been expressed in human language… by human authors possessed of limited capacities and resources. …The fundamentalist approach is dangerous, for it is attractive to people who look to the Bible for ready answers to the problems of life. 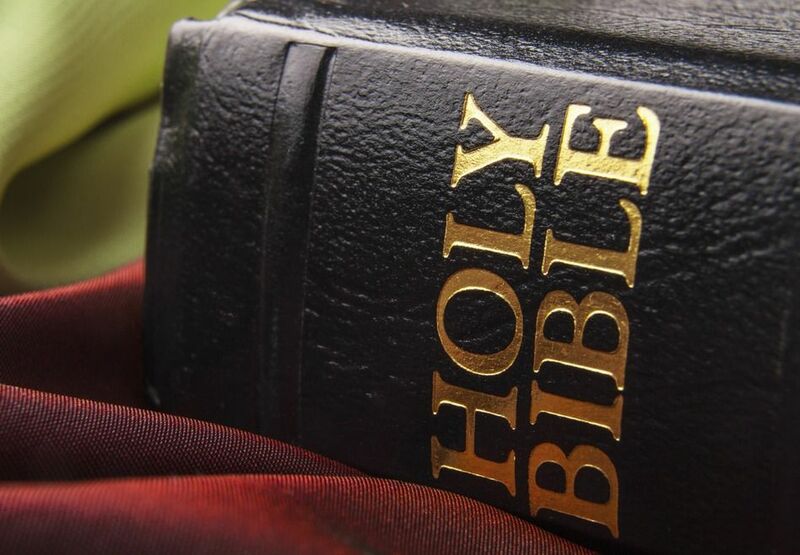 …A fundamentalist interpretation of the Bible began during the Reformation, when Protestants showed an increasing concern for fidelity to the literal meaning of scripture. …One member of the commission, Jesuit Father Joseph Fitzmeyer, said fundamentalists failed to recognize that several years elapsed between the time Jesus spoke and the time when the gospels were written. There was no stenographer, no one with a tape recorder on that time." -The Star, Manila, Philippines, 1994; Chicago Tribune, March 20, 1994, p 27. The Document "The Interpretation of the Bible in the Church", was written by the Pontifical Biblical Commission, on April 23, 1993, http://www.vatican.va/roman_curia/congregations/cfaith/pcb_documents/rc_con_cfaith_doc_19930415_interpretazione_it.html. And so that is what Rome and all those in bed with her are doing when they declare the Bible is imperfect by using the excuse that there was no stenographer or even a tape recorder nearby when Jesus was walking among us which means their lack of faith actually cultivates doubt in the Word and especially the promises found in it. And especially the promise of John 14:26 that I just shared that proves there is no need for a stenographer or a tape recorder. And so I praise God that His prophesied reformation allowed for the common man to finally get his hands on the Bible that Rome chained to pulpits and even burned people alive for reading it. They of course killed those Christians because the truth they discovered in the Holy Spirit inspired Word of God exposed the Vatican as the Antichrist it is and so this is why they did all they could to kill those that trusted it as we as why they repeated their hateful claims towards the Bible back in 1999. And to this day many other churches in bed with Rome followed suit so as to keep the people trusting their pastors over and above the Lord Jesus of the Bible because they knew if the people trusted the Word as being infallible it would mean once read, and as the world saw during the reformation, the people would discover the truth and leave the apostate churches. And so, as most Christians have known of Rome's hatred of the Bible for centuries, has their hatred entered into all the churches claiming to be Protestant? Just opening the rewritten Bibles like the NIV or NASB confirms yes they do hate the Word of God. But is it possible the SDA church would say the same about the precious Word of our God in writing? "In our study and presentation (of the Bible), we also must reject the idea of Biblical inerrancy and verbal inspiration, but we dare not treat the Scriptures as just another human document." -General Conference president Neal C. Wilson, in Adventist Review, December 17, 1981, p 5. And so once again we see the SDA church is in fact in agreement with the man of sin in Rome. But this time by declaring the Bible is imperfect. And just so you know, the word "inerrancy" is synonymous with the word infallibility.